I'm a big believer in having a lot of versatile basic items in my closet such a jeans and tees that can be worn year round. But just because an item like a tee shirt is a great basic doesn't mean it has to be boring! 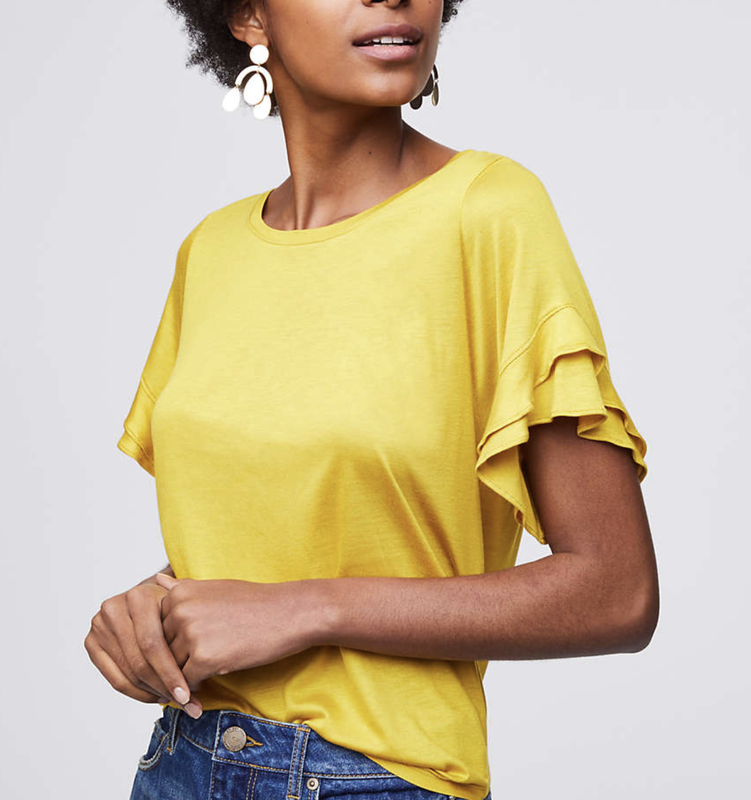 I found so many cute not so basic tees out right now for spring and I wanted to share them with you. None of these are over $40, so all the more reason to stock up on a few of them, right?!? 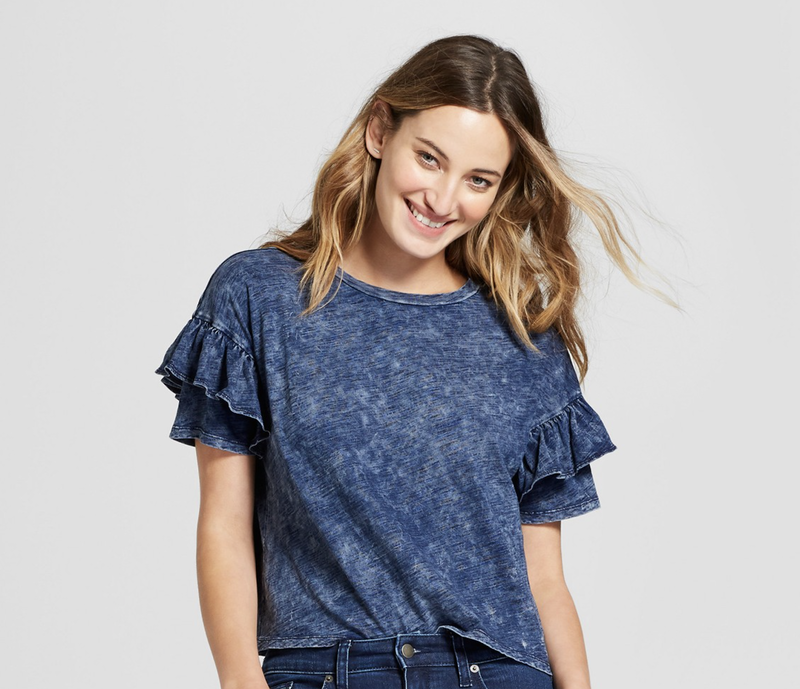 Anytime you add ruffles to a tee, I'm sold, and this tee pictures above was no exception! I love the smaller ruffles on the bodice and the distressed wash of the tee. It does run small, so I would size up one size. The next tee I am loving right now is this flutter sleeve red tee. It has a flattering fit and a statement sleeve. I also like that is is plenty long enough even for you taller ladies. You can easily dress this up with a statement necklace like I did here. The cold shoulder trend is popular again this spring, and this cute navy tee is great way to incorporate that trend. It also has some ruffles, so a perfect combo of two spring trends. Just like with the red tee, I added a statement necklace to dress it up a bit. I found a few other great not so basic tees that I wanted to share as well. I plan to try both of these on soon! I hope that this post helped you find a new not so basic tee to add to your collection. Spring will be here before we know it! 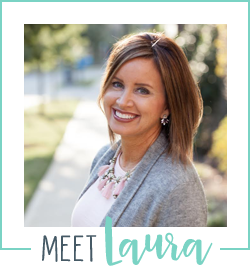 Thanks as always for reading Smart Southern Style!